Word for Today: Be very careful of what you say with your mouth. Be very careful with what you say with your mouth. Henceforth, be very careful of what you say with your mouth, especially when you are distressed or challenged. 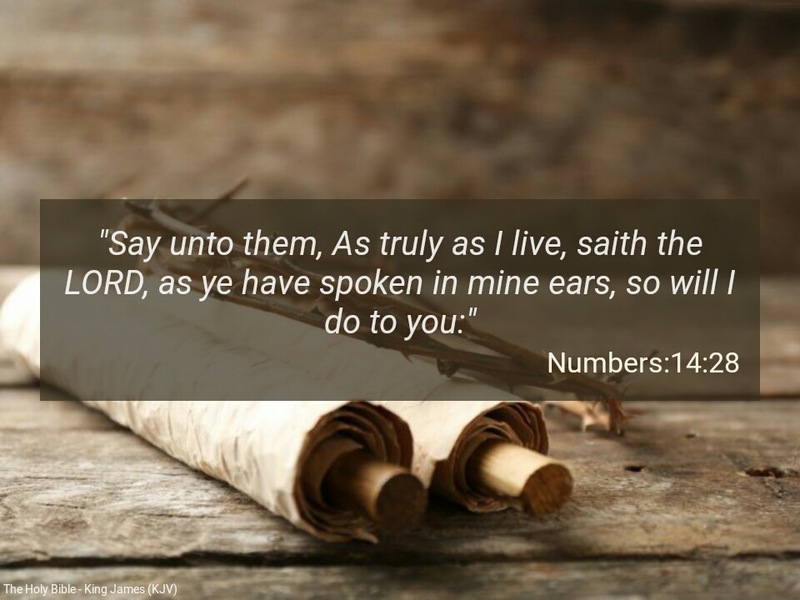 Many children of God get so used to complaining and grumbling at every trial, not being mindful of what the word of God says; in our memory verse the Almighty God is saying He will do for you what you have spoken in His ears. Try not to grumble. Learn to speak the word of God into your trials and challenges; it will only be a matter of time, before they obey. Remember, the word of God says if only you have faith, you can speak to any mountain and it will move (Mark 11:23). Please, be sensitive to your thoughts and words henceforth. “But I say unto you, That every idle word that men shall speak, they shall give account thereof in the day of judgment. For by thy words thou shalt be justified, and by thy words thou shalt be condemned” (Matthew 12:36-37). Dear Father, please help us to be conscious of every word we speak as we continue to praise you this season in the mighty name of Jesus . Amen. Previous Previous post: Word for Today: We are for signs and wonders. Next Next post: Word for Today: Nothing in heaven & earth compares to the Price of a Soul.